Purslane smoothies nourish your body and satisfy your craving for something different. 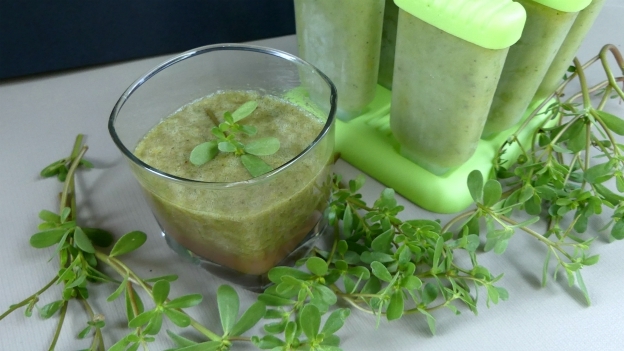 On a hot day, purslane smoothies or purslane popsicles will have you wanting more. Blend all ingredients until smooth. Pour any leftover smoothie into popsicle molds and freeze. If you have hens and chicks (Sempervivum tectorum) these can be used instead of purslane.